Having graced counter tops and tables for the last decenia, Kartell's Clear Bourgie Baroque Style Table Lamp has become one of the most recognizable lamps. The lamp recently celebrated its 10th year anniversary so we wanted to bestow it with some special attention. We love the Bourgie lamp which fits just about any decor and stands out as an incredible bargain for such a beautiful table lamp designed and imported from Italy. The Bourgie lamp was designed by Ferruccio Laviani for Kartell in Italy. 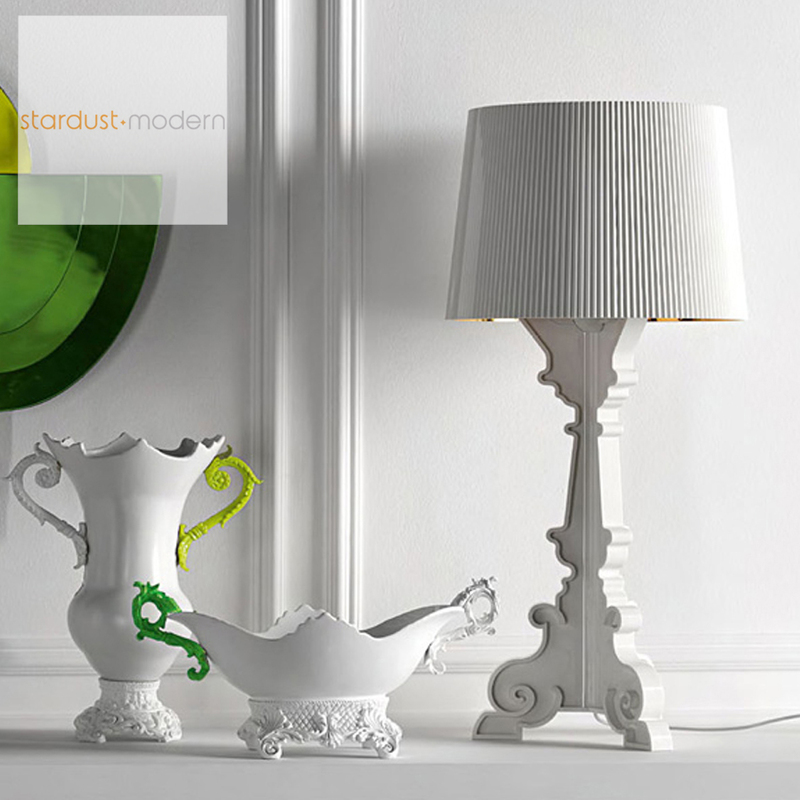 This modern lamp is a true modern design classic. 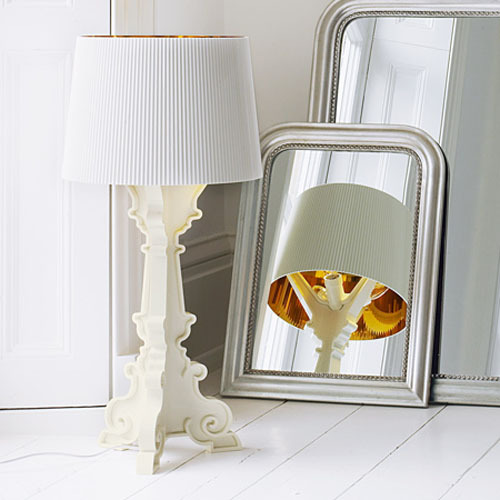 The Bourgie lamp's reflective shade creates a myriad of reflections once the lamp is turned on. The Bourgie lamp can be used as a table- or floor lamp; the height can be adjusted between 27" and 31". 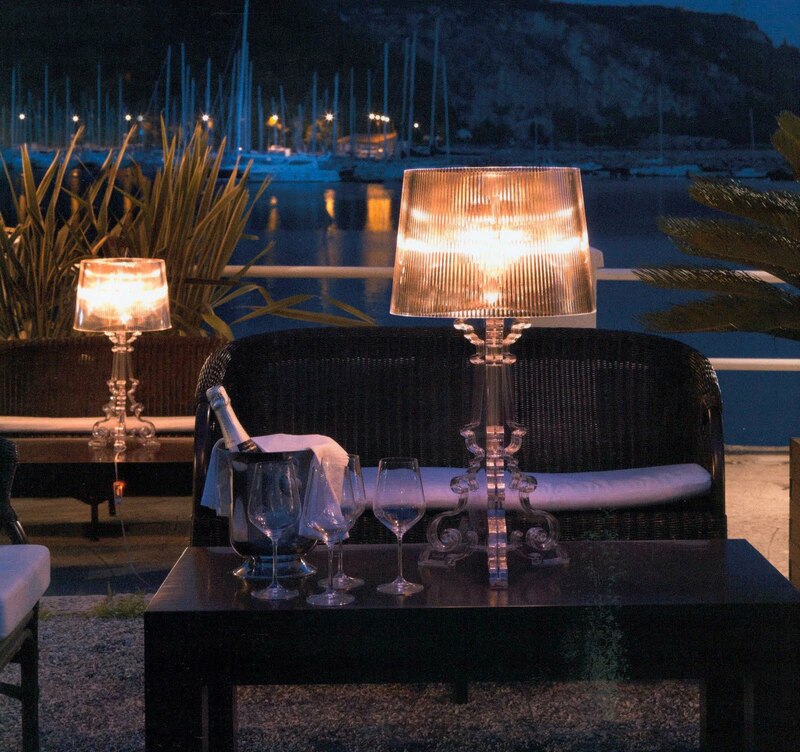 A very nice & matching touch sensitive dimmer allows for dimmed or bright light. 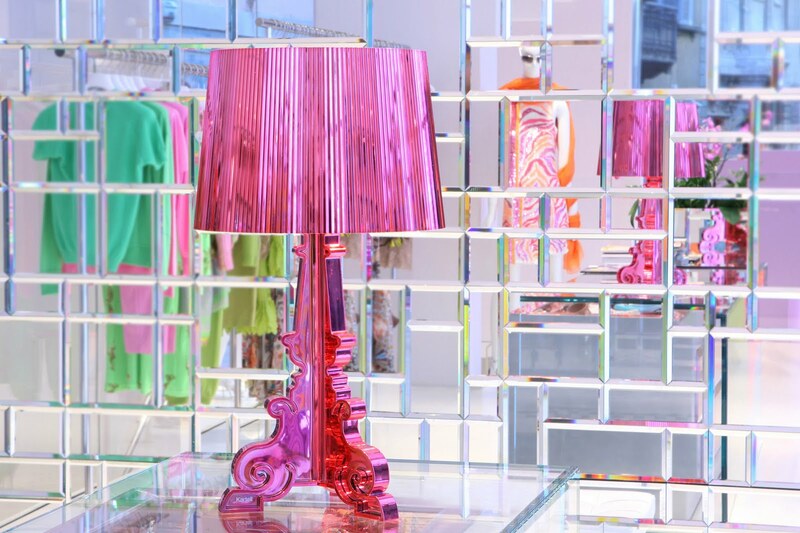 The Bourgie lamp by Kartell is one of the most remarkable lamps in the history of modern lighting. 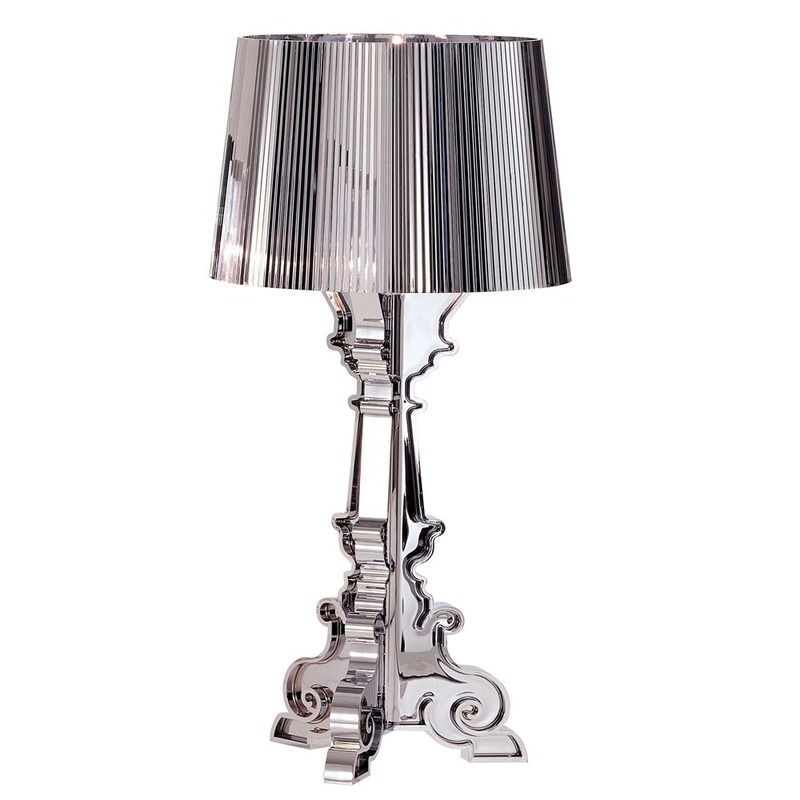 The wonderful revisiting of a classic: the baroque table lamp, but in an attractive new jacket. 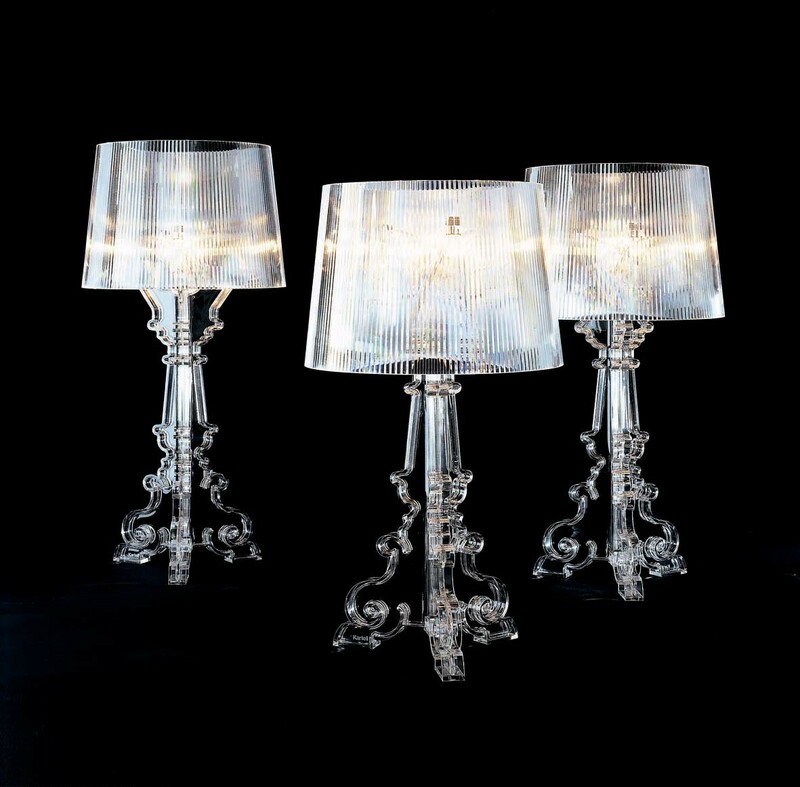 The revolutionary feature of the Bourgie lamp is that it is made entirely of transparent or batch-dyed polycarbonate. On the one hand, it is classical, rich and traditional, and on the other, it is innovative, transparent and ironic. The quality of the material and its extremely highquality processing lend it the resemblance of a precious, crystal table lamp. 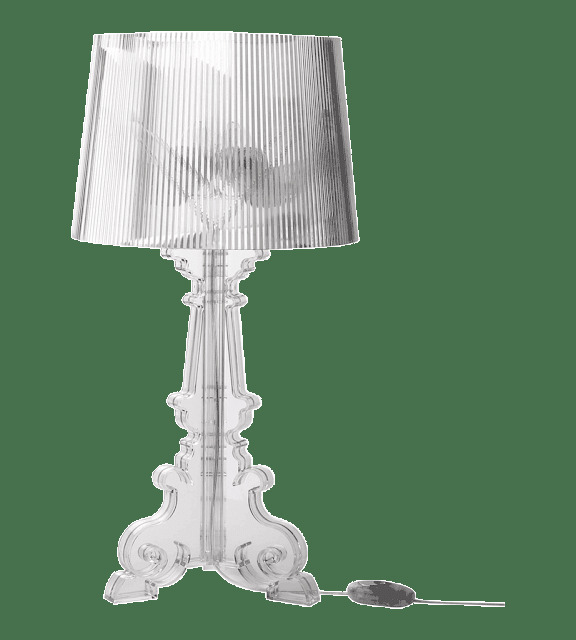 The baroque style base is composed of three decorated layers that interconnect, and the large lampshade is made with a plissé effect, to create a myriad play of reflections once the lamp is turned on. Thanks to a special coupling system on the lampshade, it can be assembled at three different heights: 68, 73 and 78 centimetres. You can choose to assemble it at the height you prefer and, later, modify it according to your preferred use. In this way, Bourgie takes on greater personality, giving the user the possibility to transform it instantly into a splendid decorative table or desk lamp.